The true measure of any television system is viewer satisfaction. Based on the concepts of the human vision model, Tektronix Picture Quality Analyzers provide a suite of repeatable, objective quality measurements that closely correspond with subjective human visual assessment. 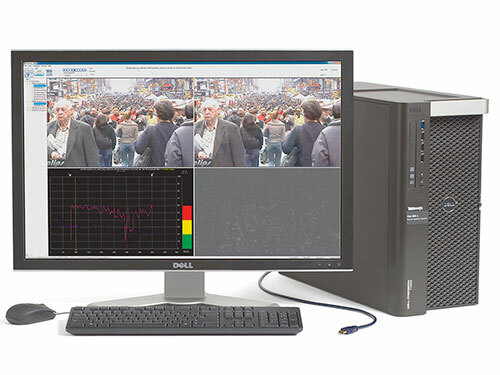 Picture Quality Analyzers are used for the design, evaluation and test of the encoding, transcoding and decoding processes. HDMI testing is critical in today’s consumer electronics like Set Top Boxes and Blu-Ray players which output video through an HDMI interface with HDCP encryption. The PQA600B and the PQA600C uniquely decode the HDCP protocol, and enables video quality performance comparisons on a range of consumer electronics. They can be also used to evaluate the video equipment that support 4K/UHDTV1 formats in conjunction with the MTS4EAV7 analyzer for decoding a HEVC Main 10 profile stream.